He previously received a CBE from the Queen in 2004. The Kinks‘ Ray Davies is to be knighted by the Prince of Wales at Buckingham Palace later today (March 16). 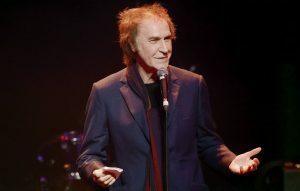 It was announced in the New Year Honours List that Davies – rhythm guitarist, vocalist, and songwriter for The Kinks – would receive a knighthood for services to the arts. Davies has recently announced his first album of solo material in 10 years. Titled ‘Americana’, it will be released on April 21. Listen to lead single ‘Poetry’ below. The post The Kinks legend Ray Davies will be knighted by Prince Charles today appeared first on NME.